On An Overgrown Path: Where has all the diversity gone? This awful business of making others just like oneself so that one is thereby “justified” and under no obligation to change himself. What a terrible thing this can be. The source of how many sicknesses in the world. Thomas Merton expressed those thoughts in a letter to the Ceylonese philosopher and art historian Ananda Coomaraswamy in 1961, and the quote comes from the recommended compendium Merton & Sufism. I have to confess to not being a huge fan of Yo Yo Ma, but his recent Nancy Hanks Lecture on Arts and Public Policy at Washington, D.C.'s chimed with the view of Thomas Merton and also with the theme of many posts On An Overgrown Path. In the lecture Yo Yo Ma spoke of “…an edge effect… where those of varied backgrounds come together in a zone of transition; a region of less structure, more diversity and more possibility”. The important point is that Yo Yo Ma is not just calling for more diversity, but he is also calling for less structure and more possibility. It is true that today we have more diversity in the arts, but the diversity is structured to the extent that it inhibits possibility – nowhere more so than in social media where the sickness of making others like oneself is measured in friends and followers. You are unlikely to hear very much of the CD seen above despite its diversity and possibility, simply because it does not fit neatly into any of the structures that define today’s fashionable diversity causes. 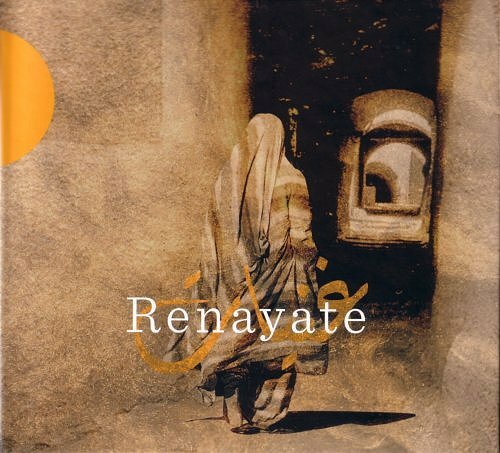 For Renayate (Women) the Berber singer Houria Aïchi is joined by other Algerian musicians in a celebration of womanhood and the work of the great – but overlooked – Algerian chantresses of the past. It is newly released on the French Accords Croisés label, a record company whose entire catalogue is a zone of transition rich in diversity and possibility. More on Algerian music and Houria Aïchi in Music and politics in the garden of Allah. With thanks for the heads-up to the NPR classical blog. No review samples were used in the preparation of this post. Also on Facebook and Twitter. Any copyrighted material on these pages is included as "fair use", for the purpose of study, review or critical analysis only, and will be removed at the request of copyright owner(s).